It might seem a bit unfair, but Wen­gen has a lot more to offer than „only” the beau­ty of natu­re. The char­ming litt­le vil­la­ge is not only a sun­ny spot in the Ber­ne­se Ober­land, but also host to cen­tu­ries-old tra­di­ti­ons. Below you will find some selec­ted events that we warm­ly recom­mend to all our guests, inclu­ding one of the most important sporting events in Switz­er­land: The world famous Lau­ber­horn race. Autumn not only impres­ses with its bre­ath­ta­king beau­ty, but also with its sea­so­nal meat dis­hes. On Octo­ber 12th we cele­bra­te an evening with Car­a­tel­lo wines and Petra under the sign of autum­nal deli­caci­es. From 19.00, by appoint­ment only. A culi­na­ry hike through Wengen’s gas­tro­no­my: enjoy a varied 4-cour­se sur­pri­se menu in four dif­fe­rent restau­rants in Wen­gen and let yours­elf be spoi­led. 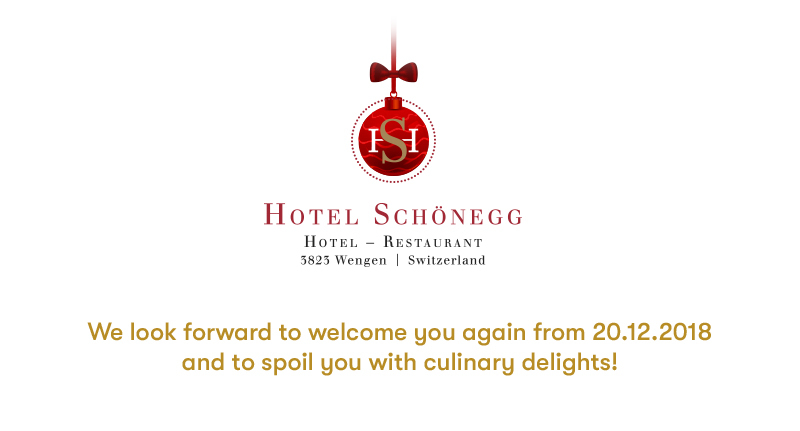 The Gour­met Ral­ly offers you the oppor­tu­ni­ty to tas­te various deli­caci­es from Wengen’s chefs. Fol­low the link for more infor­ma­ti­ons. The Eiger North Face is more than just ano­t­her clim­bing tro­phy: it has long beco­me inse­pa­ra­ble from the myths and heroic tales of tho­se who over­ca­me its many chal­len­ges. 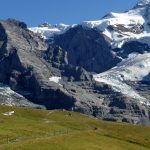 But the Eiger expe­ri­ence is not reser­ved for only the most dar­ing and extre­me ath­le­tes: the impres­si­ve sce­ne­ry can also be enjoy­ed on the Eiger Trail. The sce­nic rou­te leads from Gros­se Schei­degg via Faul­horn and Wen­gen to the tra­ver­se under­ne­ath the North Face – undoub­ted­ly the crow­ning high­light of each tour! For almost three deca­des now, the best run­ners have been com­pe­ting against each other, try­ing to beat the impres­si­ve Jung­frau­joch. Over the clas­sic distan­ce of 42,195 kilo­metres, the com­pe­ti­tors — 4,000 spots on the star­ting line are given to as many ath­le­tes each year — are faced with an impres­si­ve two thousand metres of alti­tu­de dif­fe­rence. A bor­der­line expe­ri­ence on the most beau­ti­ful sta­ge natu­re has to offer. At the end of sum­mer sea­son, the Alpi­ne herds return to the val­ley – a cen­tu­ry-old tra­di­ti­on that is still cele­bra­ted exten­si­ve­ly today. If the sum­mer went smooth­ly for humans and ani­mals ali­ke, ever­yo­ne dres­ses up in their fes­ti­ve garb: splendid Ber­ne­se tra­di­tio­nal Trach­ten (cos­tu­mes) and ela­bo­r­a­te­ly deco­ra­ted catt­le ama­ze young and old spec­ta­tors ali­ke. An inte­gral part of Swiss DNA! 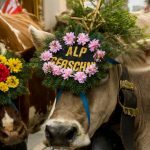 Even more pure and unadul­te­ra­ted Swiss­ness: during the big annu­al cheese fes­ti­val, the cheese pro­du­ced on the alpi­ne pas­tu­res in sum­mer is dis­tri­bu­t­ed fair­ly among the far­mers. The tra­di­ti­on can be traced back to the 16th cen­tu­ry — and to this day, hund­reds of spec­ta­tors from near and far are drawn to the moun­ta­ins year after year. The “Chäs­teilet” takes place at the end of Sep­tem­ber. 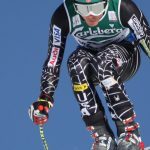 Sin­ce 1930, the Lau­ber­horn race in Janu­ary has been an inte­gral part of the ski calen­dar. The descent is not only the lon­gest, but also the fas­tes­tin the world: ath­le­tes race towards the finish line with up to 160 kilo­metres per hour; all against a para­di­sia­cal moun­tain back­drop. An unf­or­gett­able folk fes­ti­val for young and old! The world’s big­gest ama­teur ski race is held in Wen­gen. It was foun­ded in 1928 by the Bri­tish Kan­da­har Ski Club and has sin­ce attrac­ted hund­reds of snow enthu­si­asts every year, lea­ding par­ti­ci­pants over fif­te­en kilo­metres of pis­tes from the Schil­thorn to Lau­ter­brun­nen, fea­turing flat and even uphill pas­sa­ges. Alt­hough the name might indi­ca­te other­wi­se, the fri­end­ly atmo­s­phe­re, spec­ta­cu­lar rou­te, and incredi­ble alpi­ne sce­ne­ry make for a rather uplif­ting and joy­ful jour­ney. In addi­ti­on to the regu­lar wine and cheese tas­tings taking place in the his­to­ric base­ment, the wine cel­lar is also avail­ab­le for pri­va­te lunch or din­ner reser­va­tions. The atmo­s­phe­ric cel­lar offers plenty of space for two to six peop­le. A spe­cial room for a spe­cial occa­si­on. The his­to­ric hall gives your mee­ting a warm and cor­di­al back­drop — not to men­ti­on the pic­tures­que view. Cele­bra­te your big days at Hotel Schönegg!